Gambia President Adama Barrow signing AfCFTA agreement in Kigali, March 21 last year. His Parliament approved Ratification of the agreement on Tuesday. The road to Niamey – Niger has been cleared for the official launch of the much-awaited Africa Continental Free Trade Area (AfCFTA). 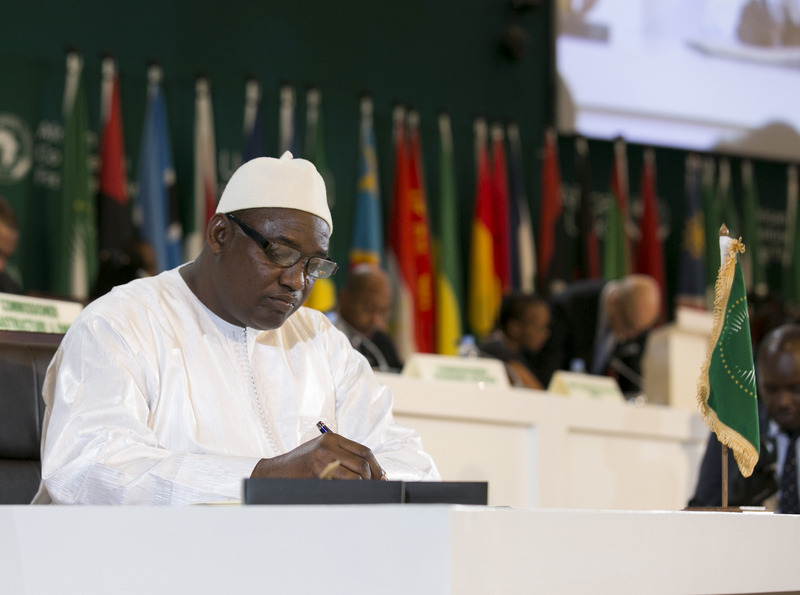 The Parliament of The Gambia on Monday approved ratification of AfCFTA – paving way for the needed minimum threshold for the agreement to come into force in July this year. Gambia’s ratification brings to total number of countries to ratify the AfCFTA to 22 – the required number for the Agreement to enter into force, as per Article 23 of the AfCFTA. “Good news! The Parliament of The Gambia has APPROVED ratification of AfCFTA Agreement making us meet the minimum threshold,” Amb. Albert Muchanga – Commissioner for Trade and Industry at the African Union Commission said on his Twitter handle on Tuesday. “The AfCFTA market is being born and is one step ready for launch of its operational phase in July this year,” he added. Celebrations are expected to fill up Niamey – the capital city of Niger in July this year, when African leaders will witness the official launch of the Africa Continental Free Trade Area. 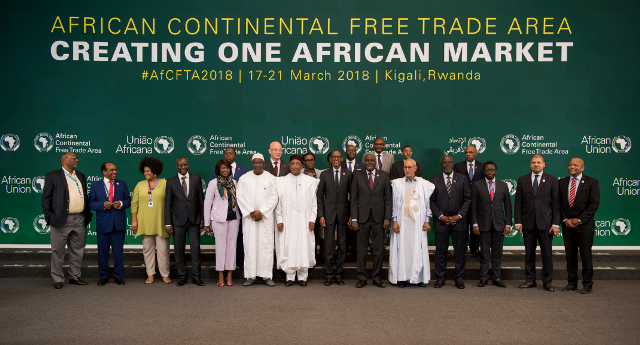 In March last year, African countries including top largest economies such as South Africa joined their fellow African Union member countries to sign the historic African Continental Free Trade Area in Rwanda’s capital Kigali. Commenting on the latest ratification by Gambia, Rwanda’s State Minister in the Ministry of Foreign Affairs Olivier Nduhungirehe said the development is hitoric. “It’s a historic moment to see the AfCFTA getting virtually into force. We still need 22 ratifications to be deposited at the AU Commission. The entry into force of this agreement will be celebrated during the AU Summit in Niamey, Niger in July 2019. And then the most important moment will come, which will be that of the implementation of the AfCFTA,” Minister Nduhungirehe told KT Press. Once into force, the AfCFTA will create a single continental market for goods and services, with free movement of business persons and investments, and thus pave the way for accelerating the establishment of the Continental Customs Union and the African customs union. The CFTA will bring together fifty-four African countries with a combined population of more than one billion people and a combined gross domestic product (GDP) of more than $3.4 trillion.